This work is our artists impressionistic take on the Olentangy River. 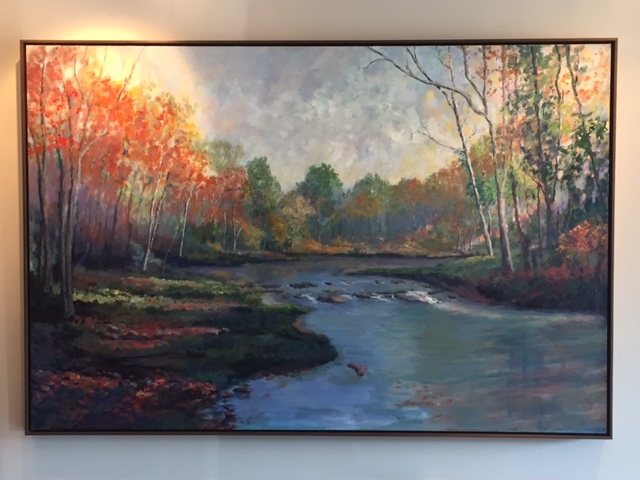 Our clients live on the river so they wanted a one of a kind painting of it to hang in their home. They sent us photos of what they wanted and after a few consultations to make sure the painting was just right for them this is the fished product.